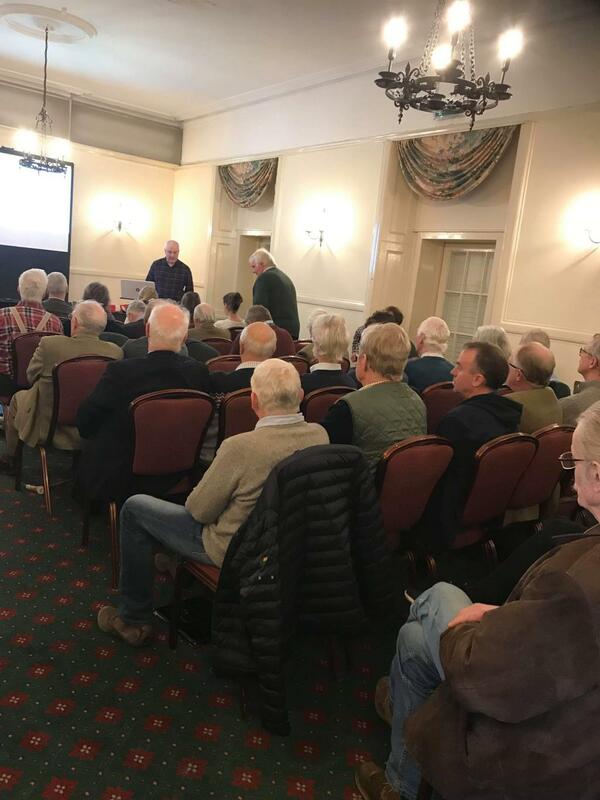 This year the event was held on the 11th February at The Murray Arms Hotel in Gatehouse of Fleet. 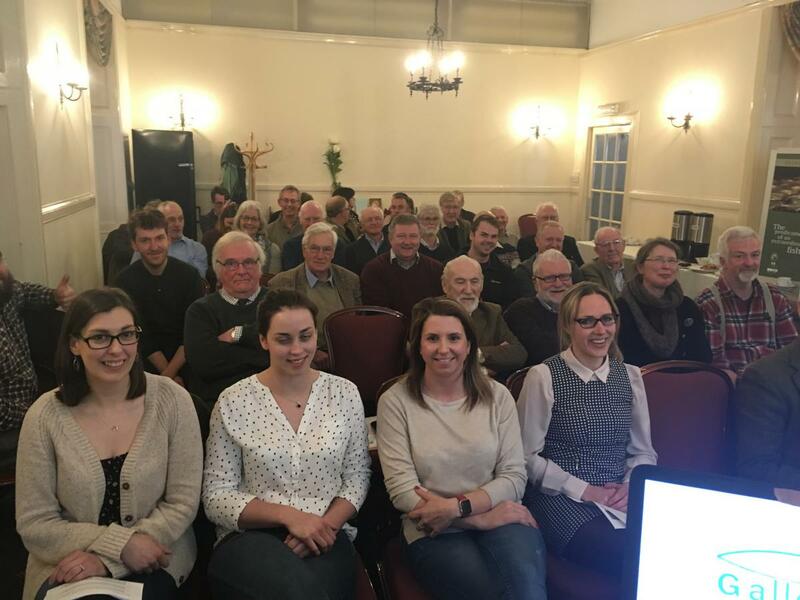 Presentations were given by Jamie Ribbens (covering priority working areas of GFT & Conservation Limits research), Rowan McCleary (covering the GFT electrofishing programme and fish counter work), Victoria Semple (covering peatland restoration and water quality monitoring), Jessica Rodger (covering her new post of Salmon Restoration Officer) and Courtney Rowland (covering recent sparling work and film footage). 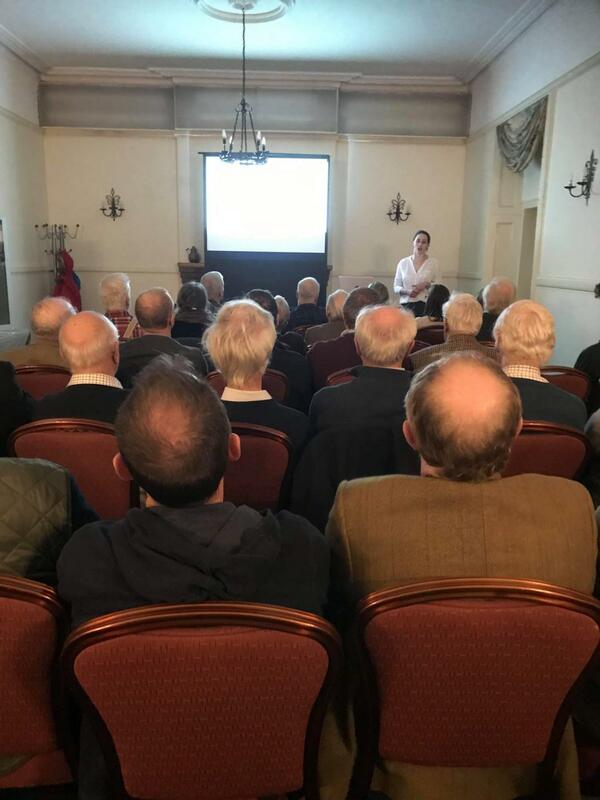 The meeting was well supported with 35 attendees representing many organisations including local councilors, SEPA, South West Environment Action Trust, Crichton Carbon Centre, Forestry Commission Scotland, Forest Enterprise, Galloway Glens Project, Solway Firth Partnership and Fisheries Management Scotland. Everyone seemed to find it interesting and there were plenty of questions and discussion afterwards! We plan to hold a similar event next February. Prior to the main event, there was a meeting of GFT Trustees / Directors. At that meeting Mary Nicholson stood down as the GFT chairman. Mary has served twice as the Trust chair. She has been a strong force guiding the GFT through the Wild Fisheries Review and ensuring we develop into a wider, more modern organisation. She has been particularly instrumental in our increasing role in peatland restoration. 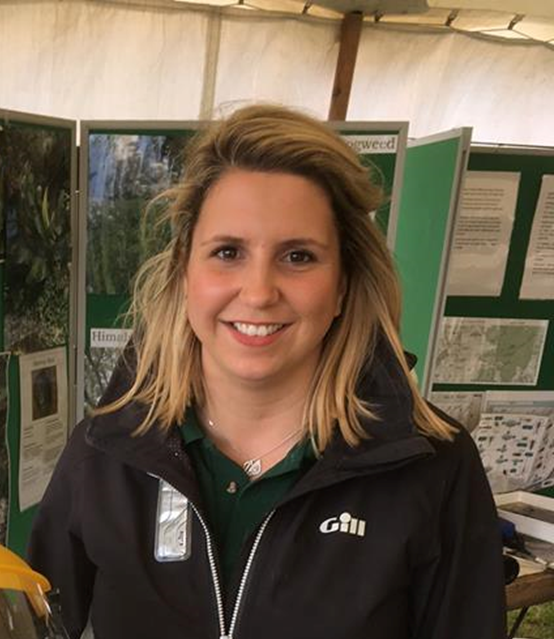 Mary is moving to Edinburgh but will remain a GFT Director and sit on the Fisheries Management Scotland management group. George Gourlay has been appointed the new GFT chairman. George has been a GFT Trustee for many years and is both a fishery owner and a member of the River Urr District Salmon Fishery Board where he is presently the Board clerk.